Research has found that men have higher sperm counts and greater sperm health during winter than in summer. The reason for this is cooler temperatures. Through the continued research of temperatures and their effect on sperm quality, a definite link has been found among sperm health, male fertility and weather. They said interfering with testicular cooling can be an effective form of male contraception. In an article from Nature.com, it is said that men’s sperm count have consistently shown to be 30 percent lower during the summer as a direct result of the higher summer temperatures. Sperm production requires the temperature in the testes to be between three and four degrees Fahrenheit cooler than the 98.5 degrees the body’s core maintains. The anatomical structure of men has developed to allow for the testes to maintain at lower temperatures by their placement in the scrotum, outside of the body’s core. 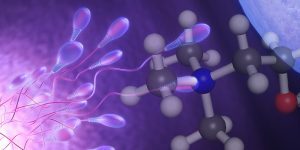 Researchers explain that the scrotum’s developed outside the body is due to the need for lower temperatures, since the normal temperature of the body is too high for the production of healthy sperm. Viable sperm is crucial for male reproductive health. 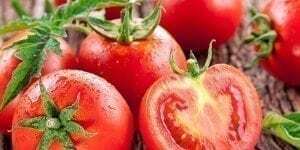 The National Institutes of Health (NIH) reported that an important study has revealed heat stress disrupts spermatogenesis and with it, reproductive function and male fertility. 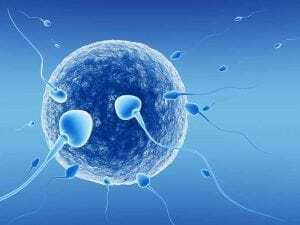 The research suggested the resistance of the cells to elevated temperatures and the process of regulating body’s temperature is deleterious to the production of healthy quality and quantity of sperm. It’s why nature has the testes of most mammals suspended outside the body cavity in a scrotum. The tunica dartos and the cremaster muscle also seemed to have evolved to aid in keeping the testes cooler than the core body temperature. While summer heat can have a negative impact on men’s ability to produce a large amount of healthy sperm. On the other hand, spring, fall and winter are more conducive to the production of larger amounts of viable sperm. Experts on reproduction recommend men with hopes of starting a family not take hot baths. Spending more than half an hour in water 104 degrees Fahrenheit or above can lead to a lower sperm count. Similarly, researchers say steamy baths and saunas can also have a similar effect. For improved reproductive health, men are encouraged to make a point of keeping the scrotum area cool due to high scrotal temperatures that may impair sperm production. This means men should be wary of hot work environments, prolonged sitting, tight underwear and practices such as placing laptop computers on their laps. Simple choice in underwear styles can also play a key role in assisting the development of healthy sperm. When sperm is produced by a man’s testes, it is stored in the epididymis on top of the testicle. For sperm to be produced the testes have to be cooler than the body’s core temperature. Briefs hold the testes too close to the body. This can impede effective sperm production and lead to low sperm counts. A recent article by NBC News identified additional sources that may result in lower sperm counts, among them are heated car seats. The story quoted reproductive health professionals explaining that sitting on heated car seats for prolonged periods resulted in damaged sperm quality. The purpose of the research was to point out the negative impact that prolonged periods of heat to a man’s groin area has on his reproductive health. In the article medical professionals even warn men about the danger using heating pads poses to sperm production. Experts quoted in the NIH report postulated that beyond the biological evolution of male anatomy for cooler temperatures, for the creation of sperm and sperm storage, it may also be a result of the need to limit gamete DNA mutations. In mammals, a rise in testicular temperature leads to more abnormal spermatozoa, decreased sperm motility and reduced sperm output. The evidence seems overwhelming that cooler seasons are not only beneficial to sperm heath, those cooler seasons are crucial to the survival of the human species.